Did you know that 93% of shoppers' buying decisions are influenced by social media? Managing your social networks, however, is a lot of work. It takes time, resources, and social media expertise that most local business owners don't have. 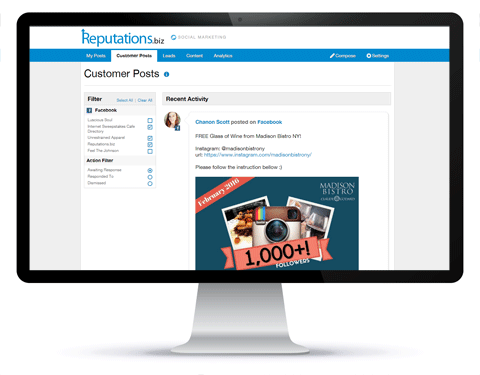 With our Social Marketing solution, you'll gain the social exposure your business needs, improve customer engagement, and increase web traffic?all at the same time while barely lifting a finger. All of your recent social media posts will be available here, no matter which social network they were posted on. If you have multiple pages, you can filter by page as well as by social network. You will no longer have to visit each social network to post! You can compose messages right from our platform and see what is scheduled right from the My Scheduled Posts section. If you decide to change something, you can do so easily right from here. Engage your customers with social media. 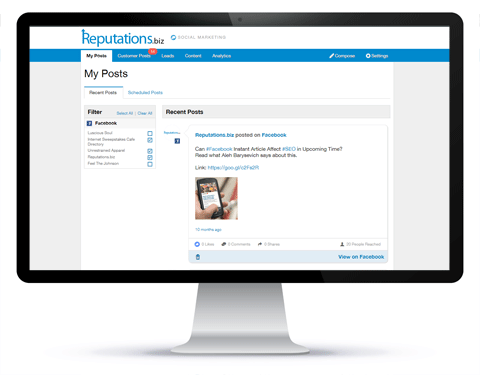 Monitor and respond to Twitter mentions and Facebook wall posts, all from one convenient dashboard. 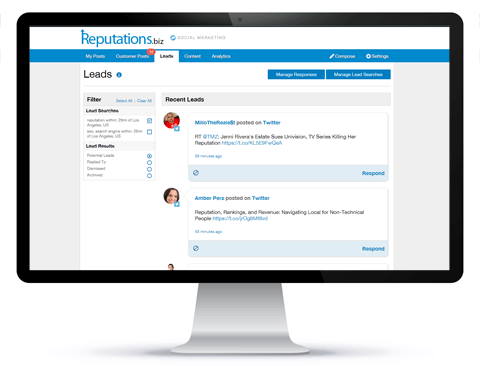 Turn social media into a lead generation tool with our Social Leads section. Enter in keywords and a geo location range and we'll notify you when anybody posts on Twitter with your keywords. Now you can strike while the iron is hot. 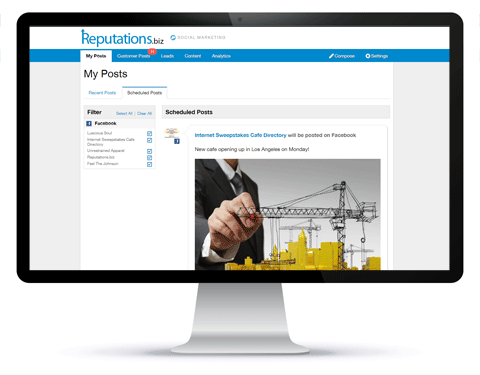 Our platform will make it easy to find quality content that you can republish to engage with your audience. 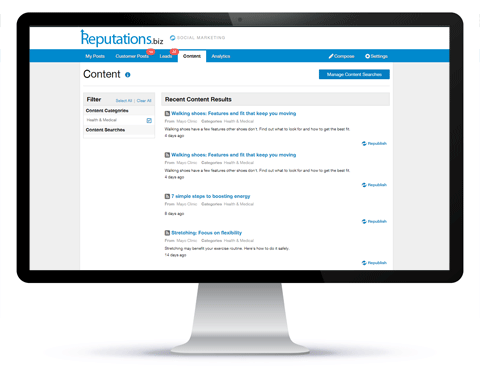 Stop spending hours each month searching for content when we can automate much of the process for you. 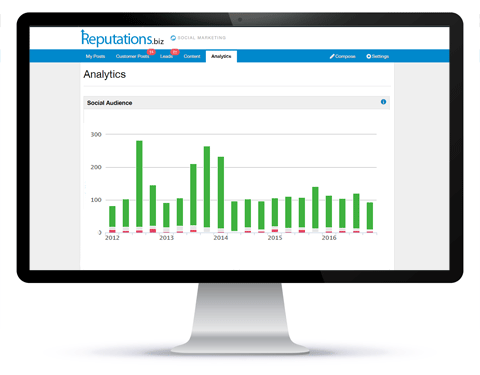 Chart the growth of your audience on social networks over time. You'll be able to compare yourself to the industry average to ensure you stay ahead of the curve. Your next customer is browsing. Make sure your business is social.